Rice Moore is just beginning to think his troubles are behind him. He’s found a job protecting a remote forest preserve in Virginian Appalachia where his main responsibilities include tracking wildlife and refurbishing cabins. It’s hard work, and totally solitary - perfect to hide away from the Mexican drug cartels he betrayed back in Arizona. But when Rice finds the carcass of a bear killed on the grounds, the quiet solitude he’s so desperately sought is suddenly at risk. 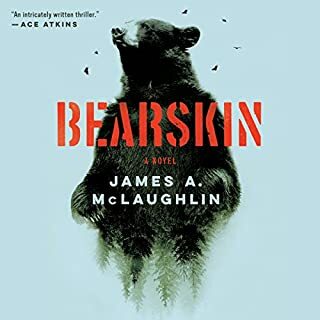 When Harland Cain holds a .45 automatic to his head and bears down slowly upon the trigger, he experiences a profound sense of control over his destiny for the first time in his life. He savors the moment and imagines the click of the hammer, the explosion, and the bullet spiraling through the barrel before everything turns black. It's then he hears the out-of-control screaming of tires on the pavement, followed by the sickening sound of metal crashing against concrete. He lays down the pistol and crosses his yard in that predawn darkness to find a young boy, bloody and dazed. The Altamaha River, Georgia's "Little Amazon", is one of the last truly wild places in America. Crossed by roads only five times in its 137 miles, the blackwater river is home to 1,000-year-old virgin cypresses, direct descendants of 18th-century Highland warriors, and a staggering array of rare and endangered species. The Altamaha is even rumored to harbor its own river monster, as well as traces of the oldest European fort in North America. The area surrounding Cashiers, North Carolina, is home to people of all kinds, but the world that Jacob McNeely lives in is crueler than most. His father runs a methodically organized meth ring, with local authorities on the dime to turn a blind eye to his dealings. Having dropped out of high school and cut himself off from his peers, Jacob has been working for this father for years, all on the promise that his payday will come eventually. 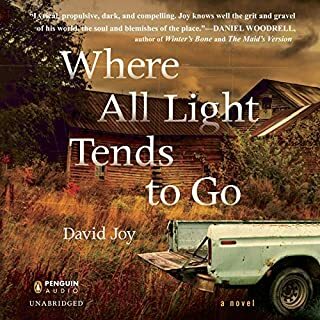 In this unforgettable work of fiction, Donald Ray Pollock peers into the soul of a tough Midwestern American town to reveal the sad, stunted, but resilient lives of its residents. Spanning a period from the mid-'60s to the late '90s, the linked stories that comprise Knockemstiff feature a cast of recurring characters who are woebegone, baffled, and depraved - but irresistibly, undeniably real. 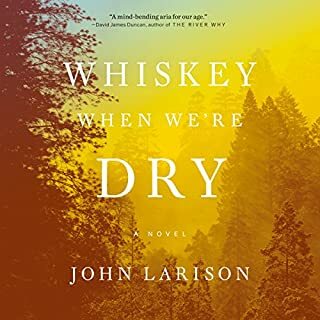 Rendered in the American vernacular with vivid imagery and a wry, dark sense of humor, these thwarted and sometimes violent lives jump at the listener with inexorable force. Billy Edgewater is a harbinger of doom. 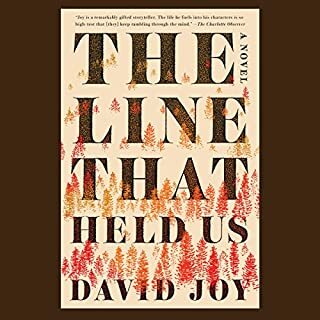 Estranged from his family, discharged from the navy and touched by a rising desperation, he sets out hitchhiking home to East Tennessee, where his father is slowly dying. On the road, separately, are Sudy and Bradshaw, brother and sister, and a one-armed con man named Roosterfish. All, in one way or another, have their pasts and futures embroiled with D. L. Harkness, a predator in all the ways there are. In a North Carolina mountain town filled with moonshine and rotten husbands, Sadie Blue is only the latest girl to face a dead-end future at the mercy of a dangerous drunk. She's been married to Roy Tupkin for 15 days, and she knows now that she should have listened to the folks who said he was trouble. 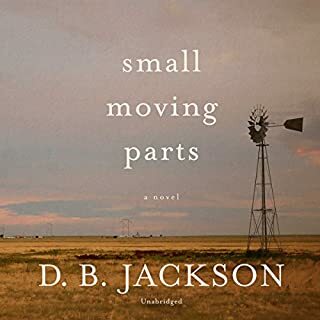 But when a stranger sweeps in and knocks the world off-kilter for everyone in town, Sadie begins to think there might be more to life than being Roy's wife. A short story introduces listeners to Brian Panowich's brutal, mesmerizing North Georgia landscape, in preparation for Like Lions. Enter the world of Brian Panowich, where Gareth Burroughs runs McFalls County, in North Georgia, and all the criminal enterprises therein. Two of his three sons, Halford and Buckley, are aiming to follow in his footsteps. The third, Clayton, has turned his back on the family and became a lawman, a sheriff in town. It is 1917, in that sliver of borderland that divides Georgia from Alabama. Dispossessed farmer Pearl Jewett ekes out a hardscrabble existence with his three young sons: Cane (the eldest, handsome, intelligent); Cob (short, heavyset, a bit slow); and Chimney (the youngest, thin, ill-tempered). Several hundred miles away in Southern Ohio, a farmer by the name of Ellsworth Fiddler lives with his son, Eddie, and his wife, Eula. For a curious boy like Jess Hall, growing up in Marshall means trouble when your mother catches you spying on grown-ups. Adventurous and precocious, Jess is enormously protective of his older brother, Christopher, a mute whom everyone calls Stump. Though their mother has warned them not to snoop, Stump can't help sneaking a look at something he's not supposed to - an act that will have catastrophic repercussions, shattering both his world and Jess's. It's a wrenching event that thrusts Jess into an adulthood for which he's not prepared. So good it made me cry! 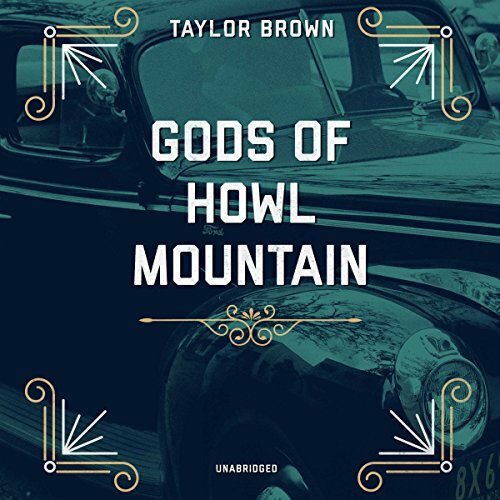 In Gods of Howl Mountain, award-winning author Taylor Brown explores a world of folk healers, whiskey-runners, and dark family secrets in the high country of 1950s North Carolina. Bootlegger Rory Docherty has returned home to the fabled mountain of his childhood - a misty wilderness that holds its secrets close and keeps the outside world at gunpoint. Slowed by a wooden leg and haunted by memories of the Korean War, Rory runs bootleg whiskey for a powerful mountain clan in a retro-fitted 1940 Ford coupe. Between deliveries to roadhouses, brothels, and private clients, he lives with his formidable grandmother, evades federal agents, and stokes the wrath of a rival runner. In the mill town at the foot of the mountains - a hotbed of violence, moonshine, and the burgeoning sport of stock-car racing - Rory is bewitched by the mysterious daughter of a snake-handling preacher. His grandmother, Maybelline "Granny May" Docherty, opposes this match for her own reasons, believing that "some things are best left buried." A folk healer whose powers are rumored to rival those of a wood witch, she concocts potions and cures for the people of the mountains while harboring an explosive secret about Rory's mother - the truth behind her long confinement in a mental hospital, during which time she has not spoken one word. When Rory's life is threatened, Granny must decide whether to reveal what she knows... or protect her only grandson from the past. With gritty and atmospheric prose, Taylor Brown brings to life a perilous mountain and the family who rules it. 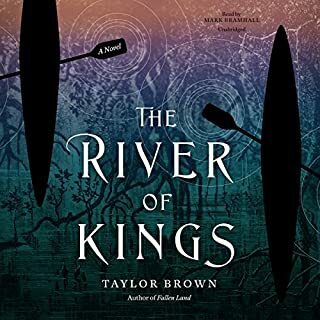 ©2018 Taylor Brown (P)2018 Blackstone Audio, Inc.
Brown's great little story of the mountain reads like a myth, although there no supernatural elements to it. There are no gods, and the struggle is not between good and evil. It's merely the struggle to outwit and prevail against evil. Gods of Howl Mountain is a perfectly rounded tale. And although most of the action is on the part of the male characters it's Granny--almost a Coyote figure--who is truly the protagonist. And the epilogue is delicious. I devoured this book. Within the first minute of reading it had infected my blood, and I could not stop. The story is as imaginative, introspective, and complex as the authors incredible prose. American literature doesn't get much better than this. There are eras in which the American ethos and pathos reveals more honestly than others. This novel reminds us of from whence we came. It is profound and honest. This novel gets two stills up. What an incredible book! I was traveling back home from just being in the Nantahala National Forest and the Great Smokeys, it was a wonderful way to end the trip! It made me feel as if I was back in those mystical mountains. The story was interesting and had many unexpected twists and turns, I love a good mystery. The writing and prose was exquisite! My favorite character was the grandma, I feel like she really brought the book together and without her a major part of the story would be missing. I would highly recommend this book to anyone! Read it and it will stick with you for a long while. In a good and impossible way. I haven't figured out exactly what the author is doing. I am not sure there is an actual point to this story.